You’ve probably seen a product or object that was so beautifully or intricately cut that you’ve wondered how on earth it was made. Whether it’s a beautifully stenciled wooden filigree handicraft, a smoothly crafted architectural model of a house, or an apple impeccably engraved with the logo of the farm that grew it, you might end up imaging what sort of godly artisan was responsible for such a creation. Make no mistake, however, as such level of craftsmanship is probably only made possible with the help of a laser machining device. Laser machining can produce objects with greater dimensional precision and better surface quality than those made using traditional machining processes. After all, it is a higher-quality subtractive manufacturing procedure that offers better, more accurate control of the material-removal process, thanks to the highly accurate XY linear stages that such equipment typically possess. There are many materials that can be machined with lasers. Chief among these are plastics and metals, but wood, glass, rubber, ceramics, porcelain, and composite materials are also typically processed using lasers. In this article, we’ll talk about just a few of the everyday items that are manufactured or processed using laser machining procedures. As already mentioned, laser machining is now used by some supermarkets and groceries to mark or engrave logos on fruits, vegetables, and even meat. This is a great innovation that has the potential to reduce our dependency on paper and plastic stickers or labels. Some good examples of such businesses—as noted by The Guardian—are Dutch produce supplier Nature & More, Swedish supermarket ICA, and British retailer Marks & Spencer. Laser is used to remove pigment from the skin of fruits and vegetables. This way, markings such as company logos and batch numbers can be inscribed on the produce itself, rendering sticky labels and stickers useless. The process is very similar to many other laser marking processes, which has been done for years on other materials like acrylic, metal, wood, glass, marble, and many other surfaces. Indeed, this process is very ideal for creating permanent markings such as logos, barcodes, serial numbers, QR codes, and many more. Despite what some might think because of the flammable nature of wood and paper, these materials can also benefit from high-precision contactless cutting using laser machining equipment. When it comes to processing wooden or paper workpieces, laser machining is especially helpful because details can be easily cut or engraved on the material without the need to securely hold it in place. Even fine designs, small decorative elements, and other minutae required for certain handicrafts and stationery can be achieved because the area targeted by the laser is simply vaporized. This minimizes or even completely eliminates chippings or dust left behind by the cutting process. Our modern civilization is very dependent on the electronic products that we use on a daily basis. The production of these items, in turn, relies on a whole host of manufacturing technologies that offer a high level of productivity, reliability, and quality. 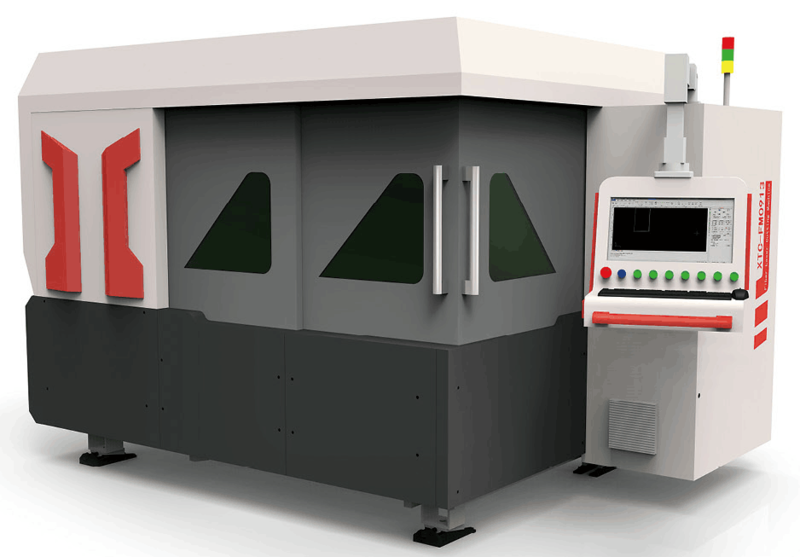 Among such technologies are laser machining processes. Lasers are used in a variety of capacities in manufacturing electronic products. Laser can be used, for example, to weld minute components together, to cut electronic stencils, to cure printed circuits, and to ablate away portions of thin metal film components incorporated into circuitry networks. Laser machining is not just limited to smaller objects because it is also used in the production of larger products like vehicles and aircrafts. The automotive and aerospace industries are, of course, very expansive, involving the production of a huge number of components and a great number of people working together to design, manufacture, market, and sell the finished products. As life-critical machines, vehicles and aircrafts need to have components that are precisely and reliably manufactured, so aside from the challenge of volume and quantity, manufacturers also have to address the issue of quality. By using laser machining processes, it’s become possible to manufacture various parts and pieces with a very small margin of error, ensuring that these components will perform as designed when they are finally put together. With its usefulness and cost-effectiveness, laser machining is a manufacturing process that is sure to find more applications in the future. Businesses that engage in manufacturing and in other types of production should very well consider whether they could and should incorporate laser machining processes in their workflows.